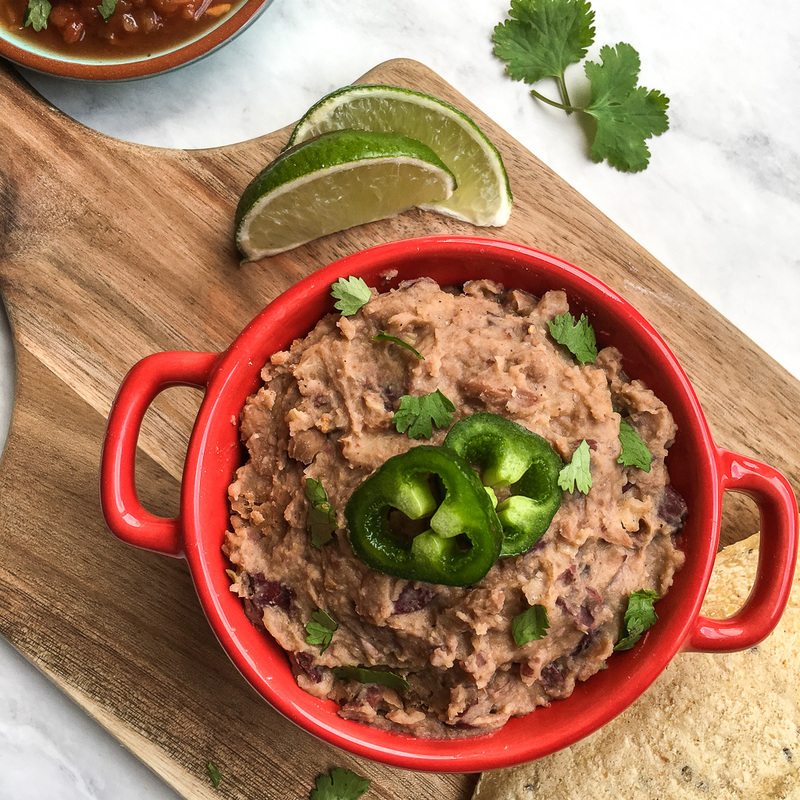 Skip the canned version and make these easy refried beans at home! 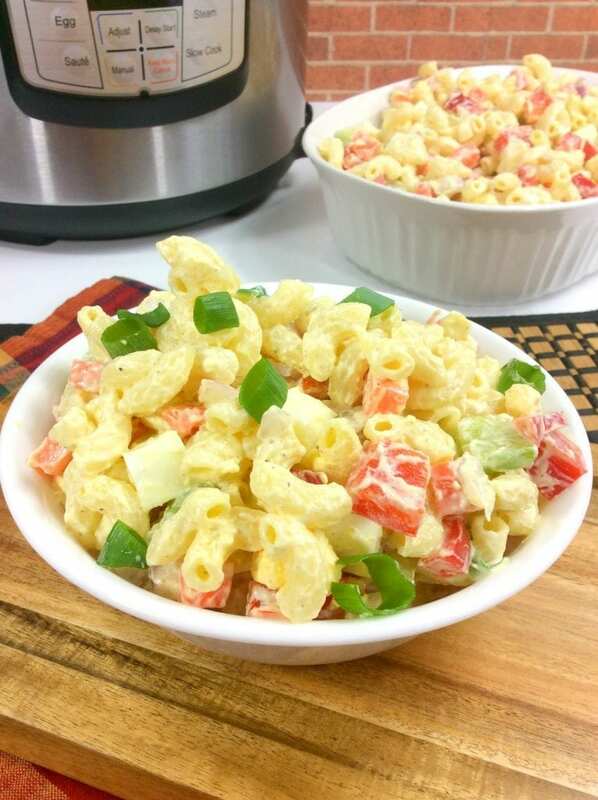 This side dish comes together quick and is always one of the first things gobbled up. Let me show you how to make them. Refried beans bring back so many memories for me. That’s not weird, right? That a bean dish would evoke at least a dozen different memories? You see, I was born, raised and graduated college in south Texas. I spent the good portion of my youth eating the best Mexican food on the planet. And 9 times out of 10 I had refried beans on my plate. For all the times that I ate refried beans with friends and family, I never thought to make them at home. Sure, I had heated up the canned stuff, but never did I have the urge to make them at home. Until we moved back to Michigan. No offense to my fellow northern friends, but Michigan isn’t exactly the refried bean capital. I have yet to find a Mexican food place up here that comes anywhere near my beloved Jaliscos in Texas. The good news is that I don’t have to go out to get some of the best refried beans. I can make those bad boys at home right next to my enchiladas, tacos and fajitas. 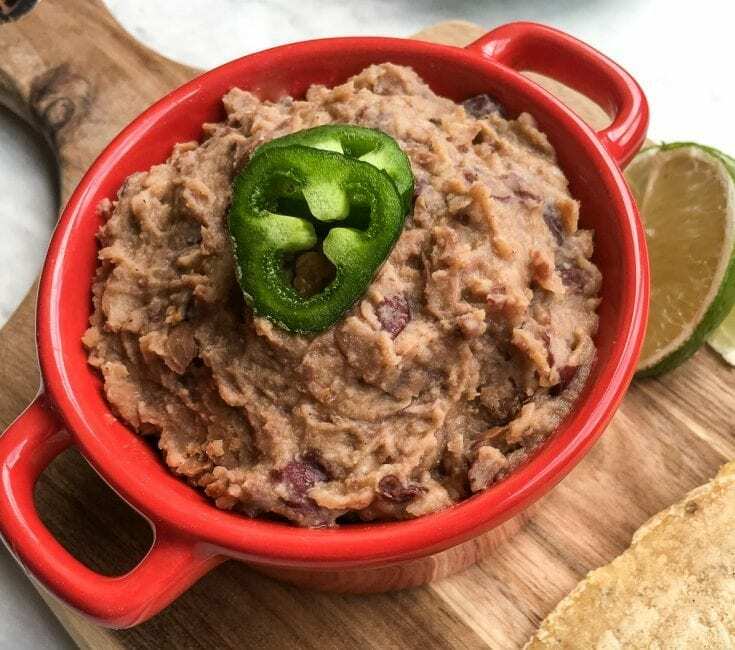 Refried beans are a side dish that consists of beans and various spices. They are cooked and then mashed to your desired consistency. I personally enjoy a chunky refried bean, but they can easily be made smooth. 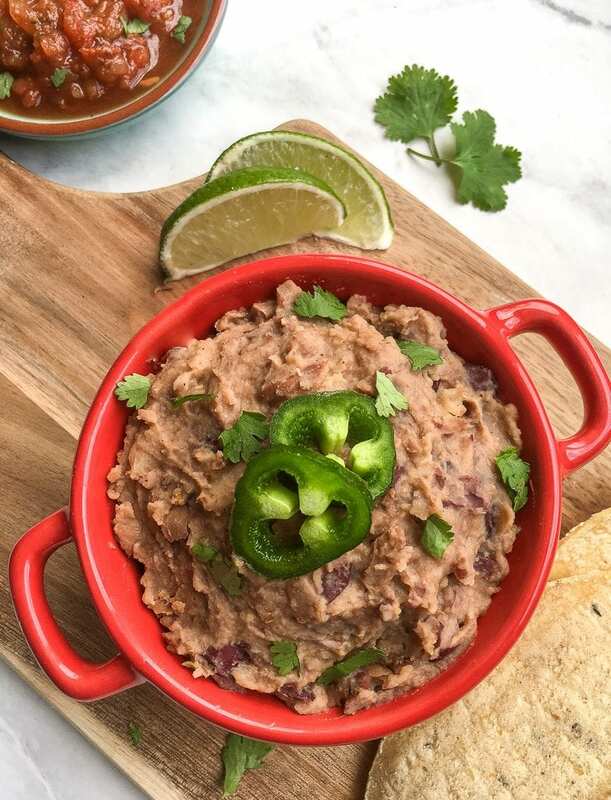 Traditionally, refried beans are normally just pinto beans and spices but in this recipe I use red kidney beans as well. This recipe is NOT totally authentic, but is a great additional to any Mexican dinner. Refried beans are served along side Spanish style rice in most places. Beans and rice, they just go together like peanut butter and jelly. 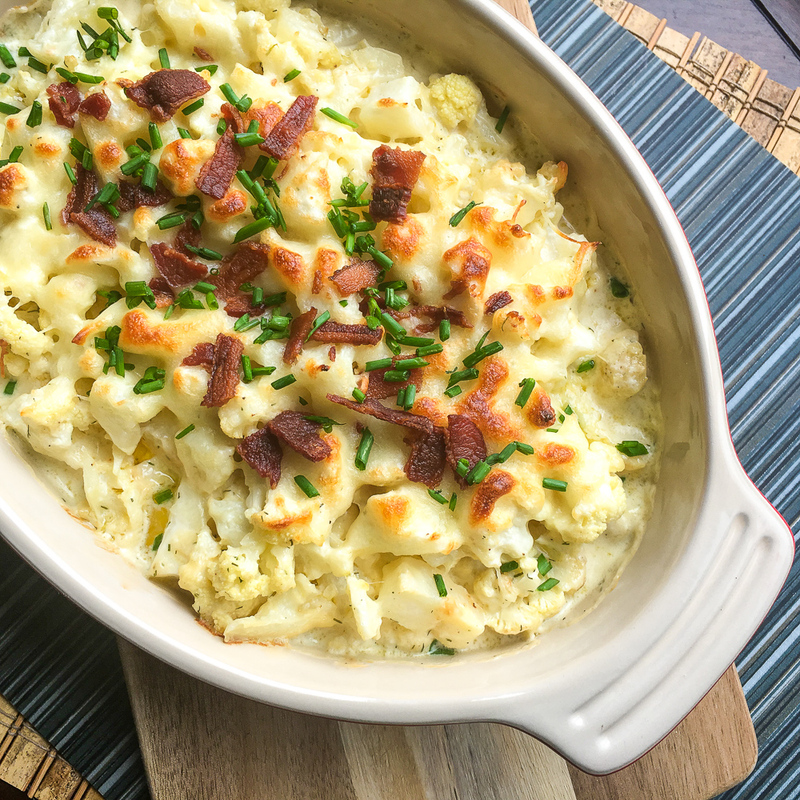 Most of the ingredients needed are pretty basic and things you probably already have in your pantry. The garlic and onion can be found in the produce aisle. And any type of oil works here, just make sure it has a mild flavor. When it comes to the beans, I used two types – pinto and kidney. The kidney beans add a great depth of flavor to this side dish. I also cheated a bit and used canned beans. I know, I know. Not authentic. But the result is delicious and you can’t tell the beans are from cans. You need a variety of Mexican spices to create these refried beans. This recipe uses cumin, chili powder and smoked paprika and the flavor is amazing. Feel free to sub in your favorite spices! Once you gather all your ingredients, you will also need to grab a large skillet, a spatula, an immersion blender or a potato masher. Start by sauteing your onion and garlic in your skillet with your olive oil. You can also use bacon grease in place of olive oil to give it more flavor. Reduce you heat, add in the beans and your spices. You want to cook the beans until they are heated through and starting to break apart. Remove from heat, allow to cool slightly and mash with your potato masher or immersion blender until you reach your desired consistency. Top with cilantro, jalapenos or your favorite toppings. Serve and enjoy! Traditionally, refried beans are made from pinto beans. 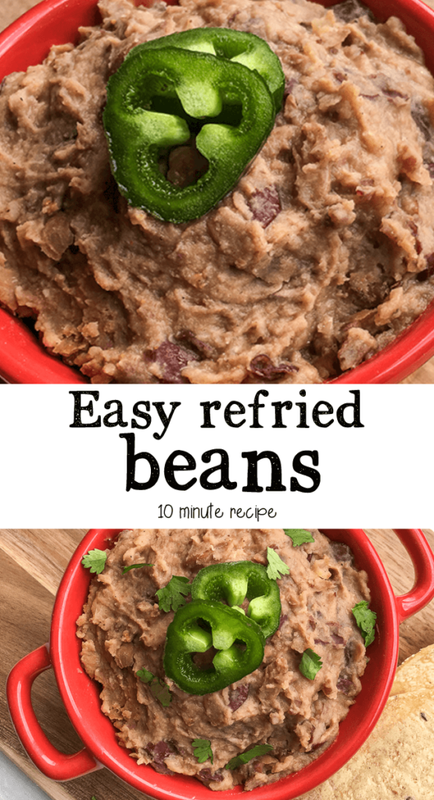 This version also incorporates red kidney beans for an interesting alternative.This quick and easy recipe is perfect for busy weeknight meals or whenever you want a healthy, meatless side dish for your favorite Mexican entrees. Add onion and garlic and season with salt and black pepper, to taste. Cook, stirring occasionally, until the onion is soft and translucent, approximately 4-5 minutes. Reduce heat to medium and add beans, ground cumin, chili powder, smoked paprika, and crushed red pepper flakes, if using. Cook, stirring occasionally, until the beans are heated through and start to break apart slightly, approximately 8-10 minutes. 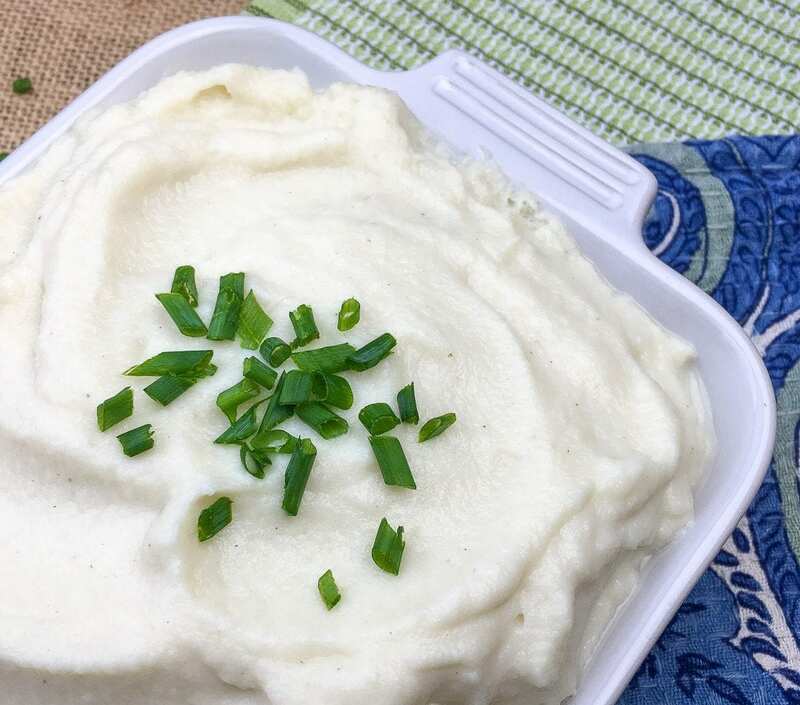 Remove from heat and puree beans with an immersion blender or a potato masher until almost smooth. Serve topped with fresh cilantro, if desired. Enjoy!